Glasnevin Cemetery (officially known as Prospect Cemetery) is the largest nondenominational cemetery in Ireland and was first opened in 1832. 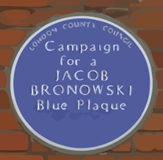 The brainchild of Catholic rights leader Daniel O’Connell, it was established as a place where people of all religions could bury their dead, in response to the lack of Catholic cemeteries and the restrictions placed on Catholic services in the eighteenth century Penal Laws. The cemetery contains the graves of the Sheehy-Skeffingtons – the atheist, feminist and Irish nationalist Hanna Sheehy-Skeffington, her husband, the atheist, pacifist, suffragist and writer, Francis, and their son, Owen, a founder member of the Irish Humanist Association. The cemetery was one of the few cemeteries that allowed stillborn and unbaptised babies to be buried in consecrated ground and its ‘Angels Plot’ was dedicated to this purpose. In April 2010 the Glasnevin Trust Museum opened to tell the story of the cemetery’s history. 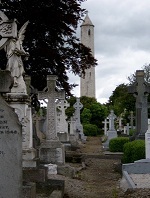 The cemetery is located on Finglas Road, Dublin 11. A number of buses run from Dublin city centre to the cemetery. Office Opening hours are Mon – Friday 9.30am to 5.00pm and Saturday 9.30am to 1.00pm. There are daily walking tours of the cemetery at 11.30am 12.30pm and 2.30pm including Sundays & Bank Holidays. The tour cost is 5 Euro.